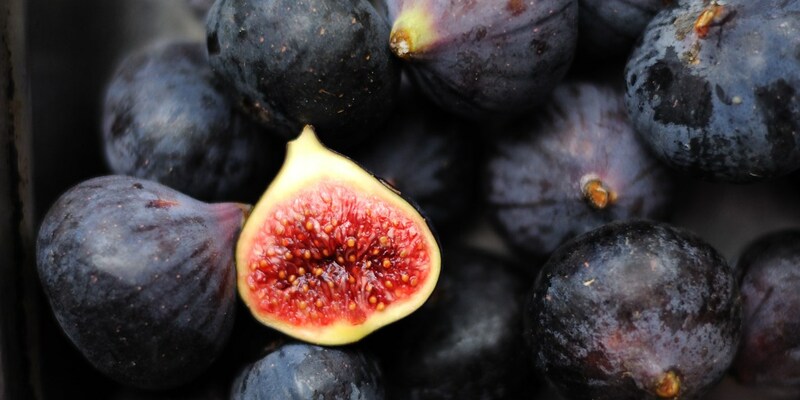 The ancient Romans loved them and so do we – the sweet, vibrant fig is one of autumn’s most exciting fruits, adding a sense of occasion to anything from cheeseboards to tarts. The intense flavour means they can stand up to all sorts of strong ingredients, and they’re used in both sweet and savoury contexts. Tom Aikens’ Fig tart with cinnamon ice cream makes for an incredible autumnal dessert, while Claire Clark uses the fruit’s striking appearance to top her beautiful Austrian coffee cake. For a seasonal take on a classic British pud, you couldn’t do much better with Geoffrey Smeddle’s Autumn Eton mess, and Nathan Outlaw’s Fig, hazelnut and ale cake is a perfect teatime treat. For something a little more savoury, Marcus Wareing combines figs with meat in his dish of Venison, chocolate, fig, turnip and Brussels sprouts, as does Kevin Mangeolles with his Grouse, fried brioche and fig purée. Figs and cheese are a marriage made in heaven – something Marcello Tully and Phil Fanning know very well with their Camembert, fig and onion tart and Honeycomb of goat’s cheese with macerated figs and rye crispbread.